In January 1879 this was the site of one of the most epic and bloody events in the history of the mighty Zulu Kingdom. The Zulu people originated from this region and the warm-hearted nature of the locals will have guests of Isandlwana feel right at home. Isandlwana Lodge is more than a peaceful retreat, for during your stay you will be able to re-live the history of both the Anglo-Zulu and the Anglo-Boer wars. Re-enactments of these famous battles will enable guests to experience the epic dramas. 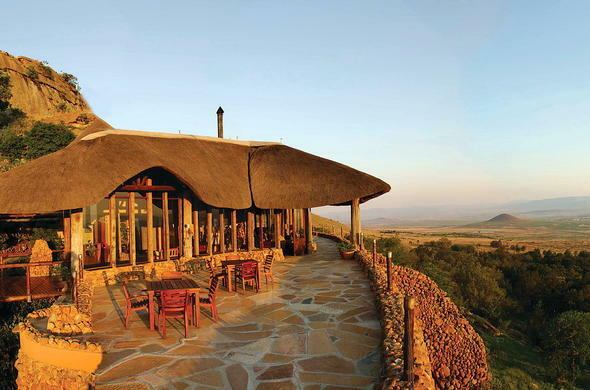 There are also many other activities and plenty to see and do during your stay at Isandlwana Lodge. The inviting pool, built among the rocks, at Isandlwana Lodge offers you a wonderful oasis in which to relax and soak up the warm African sun after a morning of exploring the battlefield.